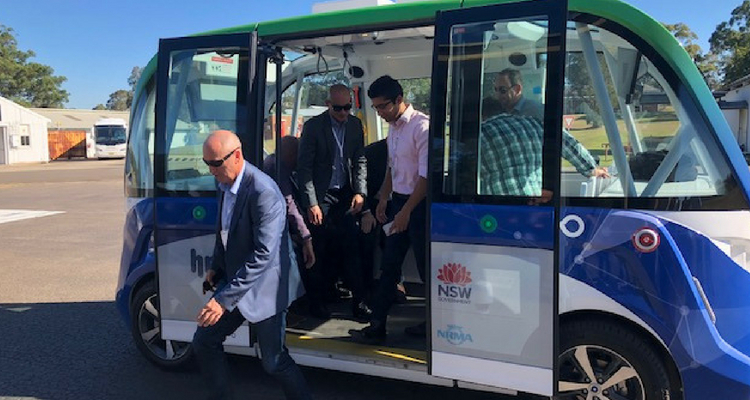 Parking Australia’s second Learning Lab event saw a delegation of 45 members visit Sydney Olympic Park at the end of May to undertake a tour of the precinct, including a road test of the Navya Automonous Shuttle currently being trialled at the park. Steve Norcott from Sydney Olympic Park presented on the traffic and parking challenges that the precinct faces, and Mosman Council joined the event to present on their innovative use of Smart City Technology. In the afternoon the delegation undertook a site visit of the NRMA building, and NRMA presented on the future of mobility and provided a demonstration of their EV charger. The presentations from Mosman Council and NRMA are now available to access from the Parking Australia website. Members can login here to download the pdf files. Photos from the event are available to view on Facebook. The Learning Lab on Tour will head to Melbourne on 21 August. Further details on the event will follow in the coming weeks.